In 2014, an investigation following a fatal jet crash in the US found that the pilot had failed to switch on de-icing equipment. The resulting accumulation of ice on the wings caused the aircraft to experience an aerodynamic stall at an altitude where recovery was impossible, writes Industrial Safety & Hygiene News. A spokesman for the National Transportation Safety Board (NTSB), a US federal government agency, said that pilots must use checklists and follow set procedures because “relying only on memory can have deadly results’’. The NTSB also recommended that the National Business Aviation Association develop “enhanced pilot training guidelines for flying in winter weather conditions, including the use of ice protection and adherence to checklists”. However, obviously challenging weather conditions are not the only thing pilots have to worry about in flight. In the two decades referenced in a 2015 article by Nancy Smith Kilkenny, SGT Inc., for NASA's Glenn Research Centre, there had been more than 200 recorded incidents of “turbofan jet engines losing power during high-altitude flights, even though pilots observed little to no inclement weather”. Previously, engine manufacturers had only been able to test the resilience of components subjected to these conditions, because recreating the specific climate was challenging and expensive. However, earlier in 2015, NASA Glenn researchers were able to achieve those conditions in the Propulsion Systems Laboratory (PSL) when a full-scale engine test resulted in a loss of engine power. 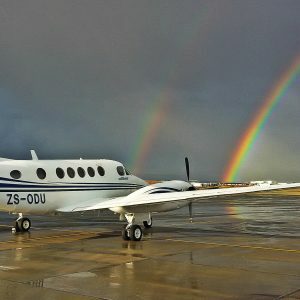 “For the first time ever, scientists calibrated to a very fine degree, ice crystal clouds found at the high altitude and pressure conditions typical in flight,” wrote Kilkenny. The challenge for the scientists, said icing cloud specialist Judy van Zante, is not being able to vary the shape of the ice particles. However, their specially-designed spray bars allow them to control the “size and amount of ice in the cloud”. By using the PSL to simulate a high-altitude ice crystal environment, they can study where and how the ice is accumulating. Glenn is working with the aviation industry to find a way to enable engines to operate optimally at the same temperature and pressure conditions experienced in flight, despite taking in ice particles. Their test results will inform their study of the effects of engine ice crystal icing in new and existing commercial engines and generate validation data that can be used to assess an engine's safety, performance and operability when subjected to these adverse weather conditions.